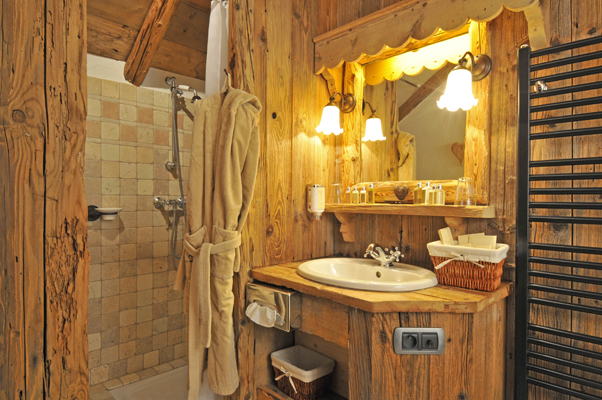 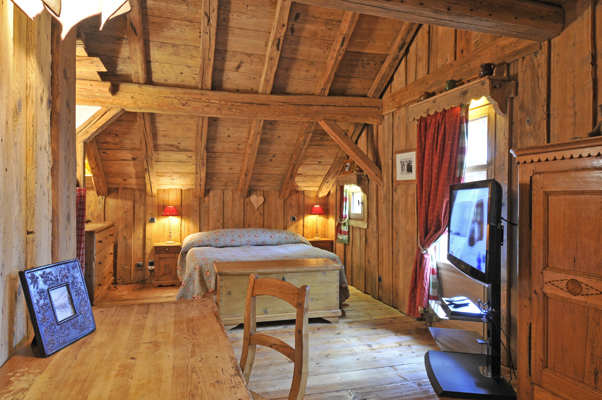 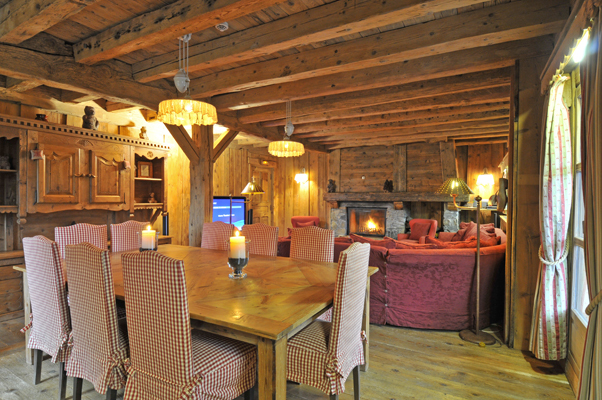 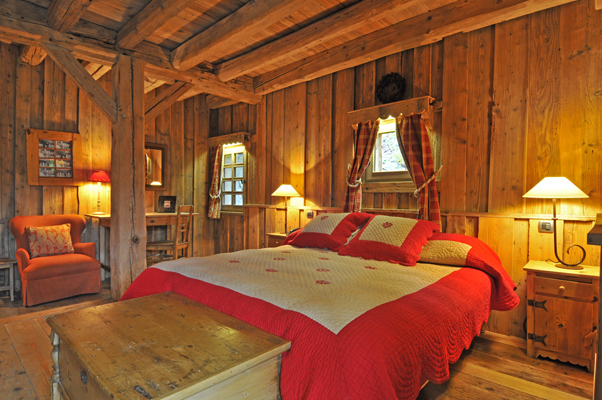 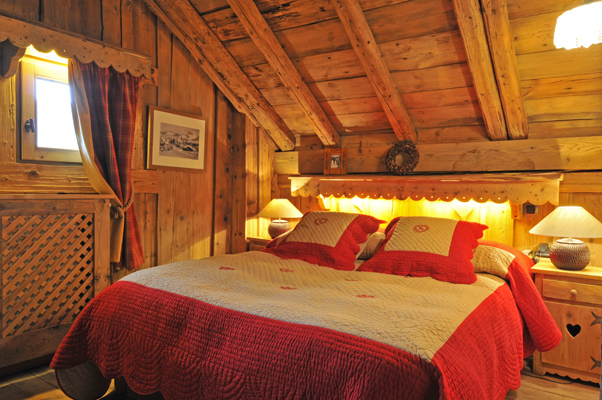 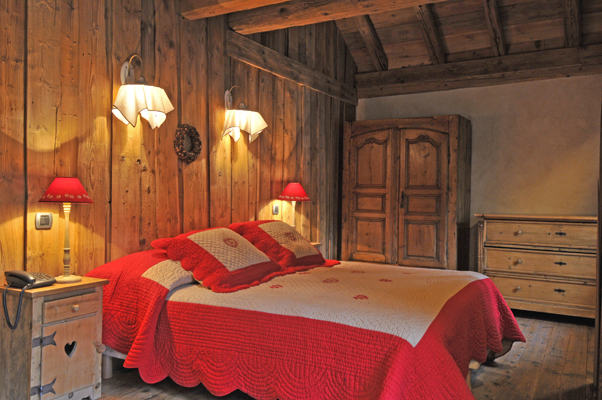 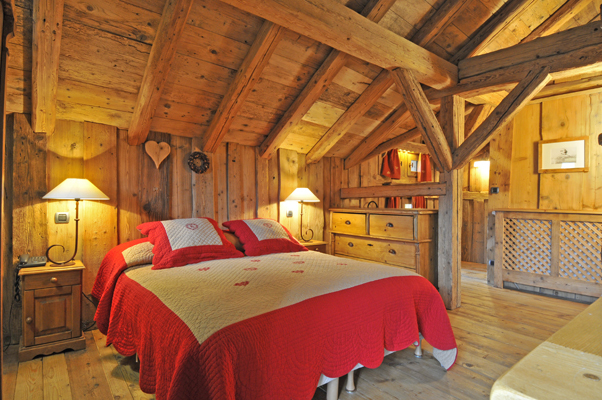 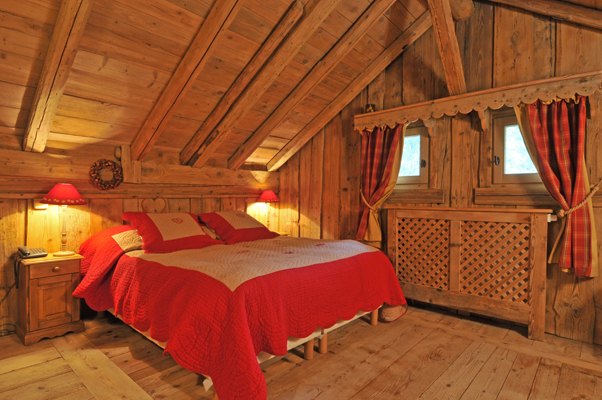 Chalet L’Alpage is a part of a hamlet composed of three distinctive properties and is located a mere 800m from the village centre of Megève. 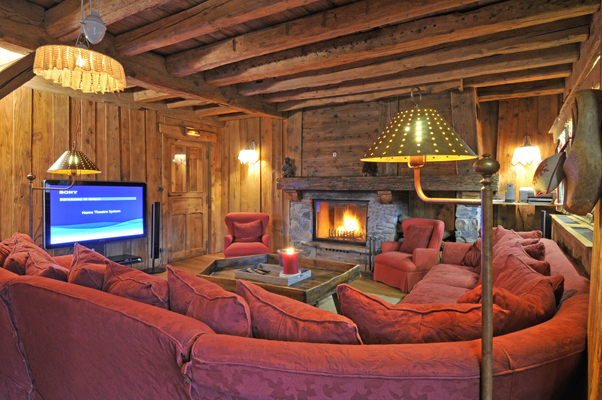 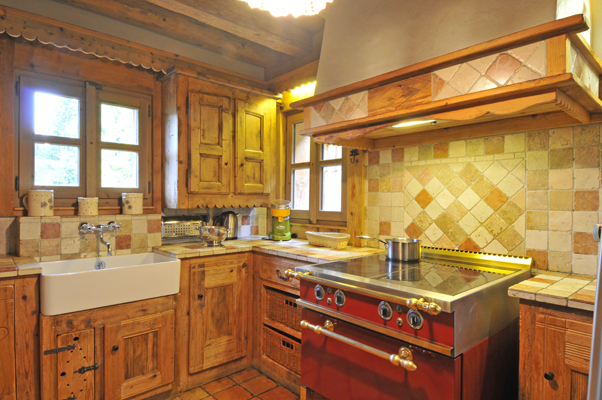 This luxury lodge is a short drive from the ski lifts. 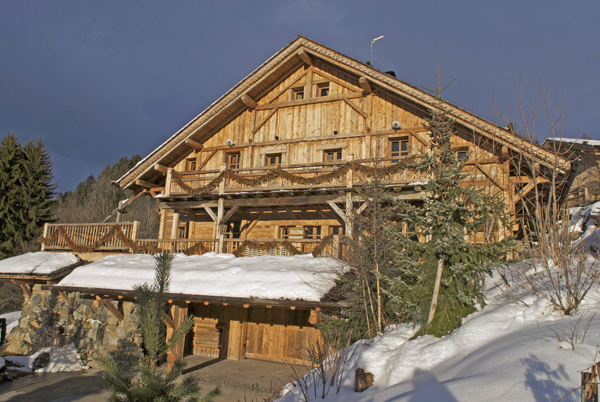 Alternatively you can reach the slopes by the ski bus, which stops 150m from the chalet's front door. 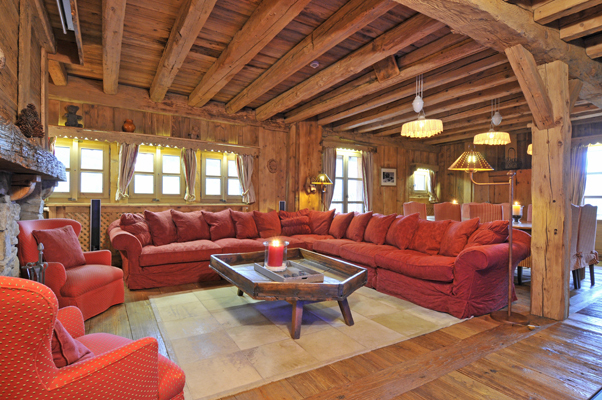 This luxury chalet is an old farmhouse that was rebuilt keeping the authenticity of its origins but upgraded to modern standards of comfort. 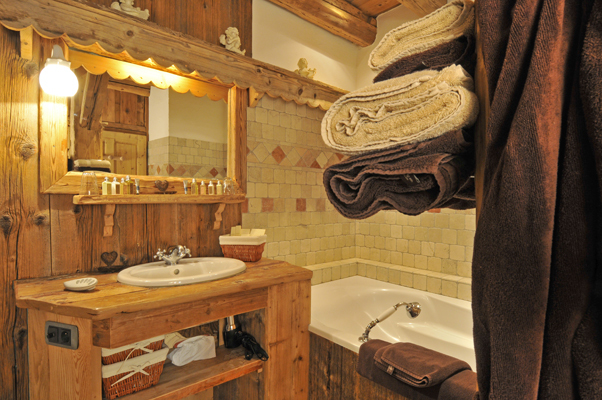 Boasting 6 bedrooms all with ensuite bathrooms, the chalet also features an outdoor jacuzzi with a view overlooking Megève. 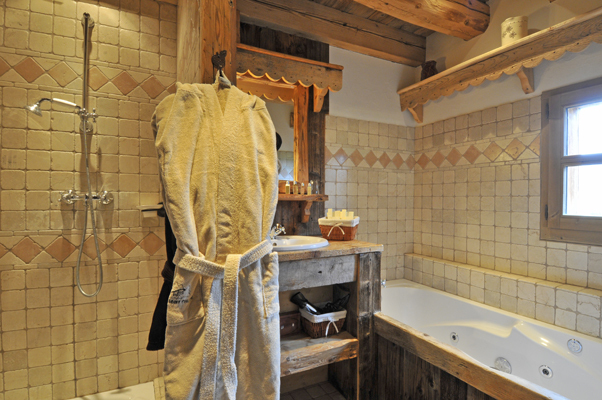 The perfect place to relax after a day on the slopes. 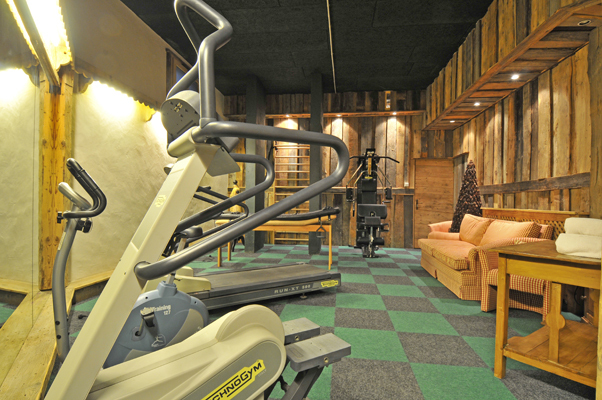 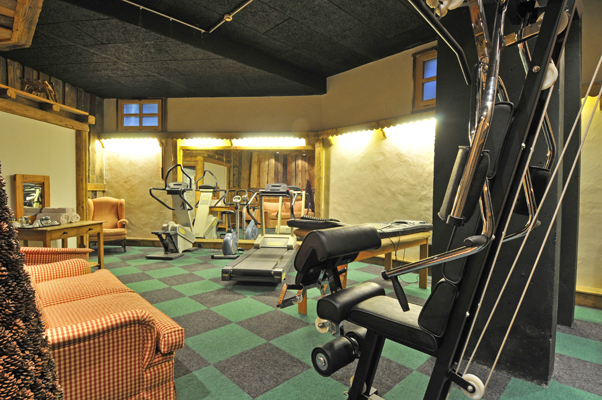 The chalet rental grants you access to the gym, shared by the the two other chalets of the hamlet. 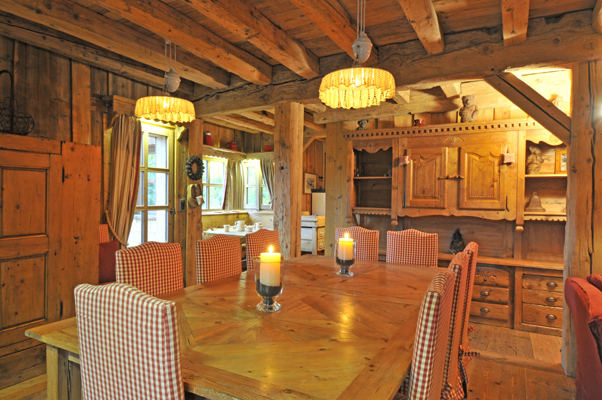 dining room with fireplace, a kitchen, a terrace with Jacuzzi. 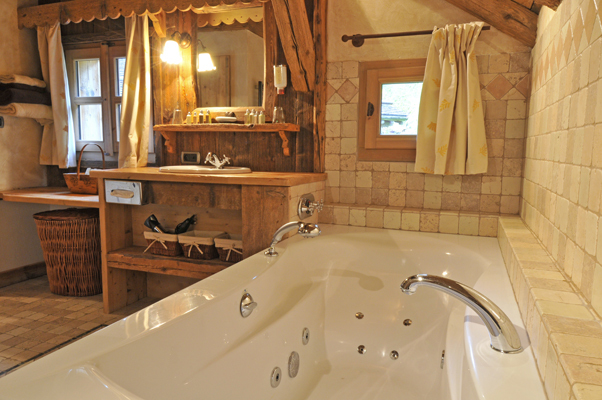 sauna for 4-5 persons .